A much needed fika before picking Titus up at the pre-school a few days ago. 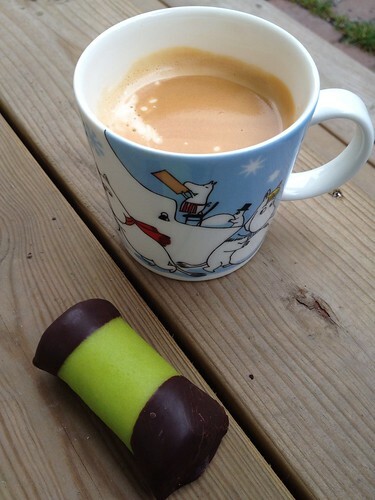 A "dammsugare" - the very peculiar little bakery item that translates into "vaccum cleaner", and a cup of coffee. The cup is a Moomin mug from Finnish Iittala - Titus and I love them.